Dan's anniversary gift from me arrived today from Beantown Handmade. 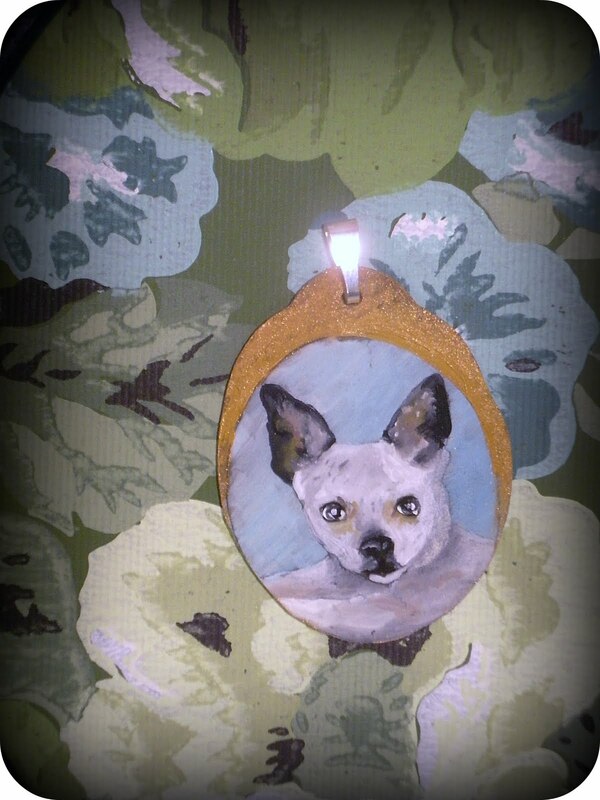 We are so happy with how Bono's pin up portrait turned out. Beautiful Amanda of Amanda Atkins in a Canary Forest sent me her print of paper dolls. 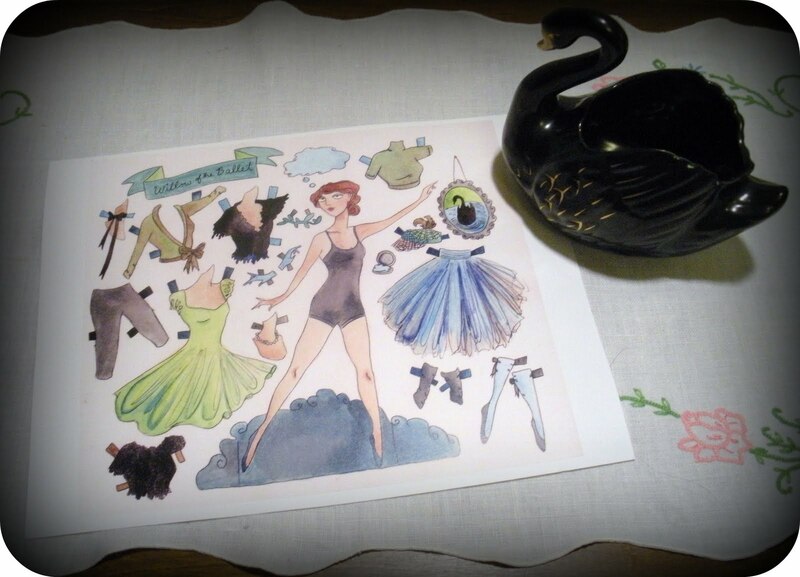 I fell in love with this print because of the colors and the black swan. 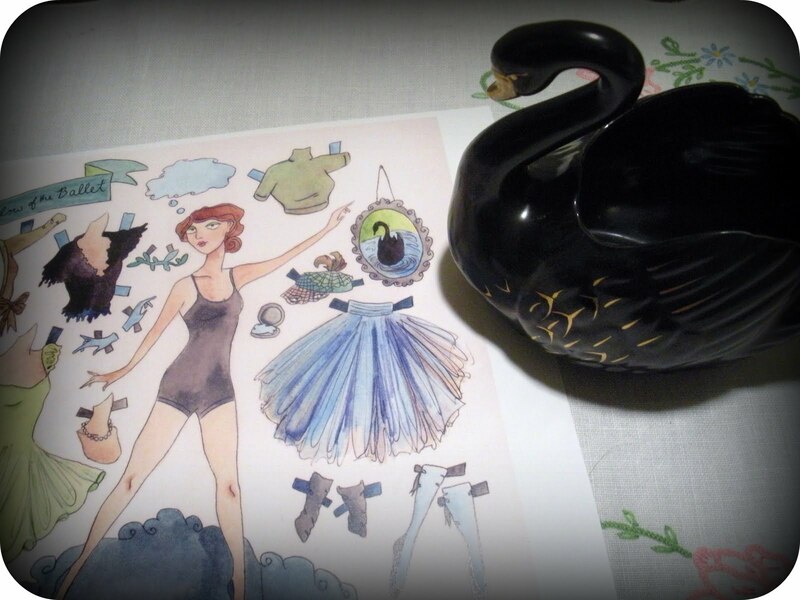 I have been collecting black swans lately. I can't wait to showcase this ballerina and black swan in my future guest room. Amanda also sent me something she read about how to be an artist. Stay loose. Learn to watch snails. Plant impossible gardens. Invite someone dangerous to tea. Make little signs that say "YES!" and post them all over your house. Make friends with freedom and uncertainty. Look forward to dreams. Cry during movies. Swing as high as you can on a swing set, by moonlight. Cultivate moods. Refuse to "be responsible." Do it for love. Take lots of naps. Give money away. Do it now. The money will follow. Believe in magic. Laugh a lot. Celebrate every gorgeous moment. Take moon baths. Have wild imaginings, transformative dreams and perfect calm. Draw on the walls. Read everyday. Imagine yourself magic. Giggle with children. Listen to old people. Open up. Dive in. Be free. Bless yourself. Drive away fear. Play with everything. Entertain your inner child. You are innocent. Build a fort with blankets, Get wet. Hug trees. Write love letters. Thank you Amanda, this was just what I needed to read today. I'm so glad the mail brightened your day! :) I love that little painting of Bono Baby, and I'm so glad he's doing okay after his surgery!!!! p.s. where did you find that black swan? he's beautiful! I found it at an estate sale in Seattle. I thought about selling it but I am in love with it. If I find another one, I'll send it to you. am incorporating "how to be an artist" onto my chalkboard wall!! !